HAVANA, Cuba – Advocates for continuing improved relations between the U.S. and Cuba already fear the fix is in to overturn Obama administration initiatives relaxing the American trade and travel embargo. It was imposed on this 780-mile-long Caribbean nation nearly 60 years ago when a small cadre of cigar-smoking, bearded revolutionaries seized control. After a recent weeklong visit – my second to this captivating and extraordinarily friendly, but frustratingly inefficient country – it's clear that would be a disaster for the 11 million Cubans and for America, which affects Cuba's economy and shapes its politics from just 90 miles away, across the Straits of Florida. Cuba today is vibrant and energetic, its people optimistic and hustling for better lives after decades of disastrous economic collapse precipitated by the 1991 demise of its sugar-daddy, the Soviet Union. 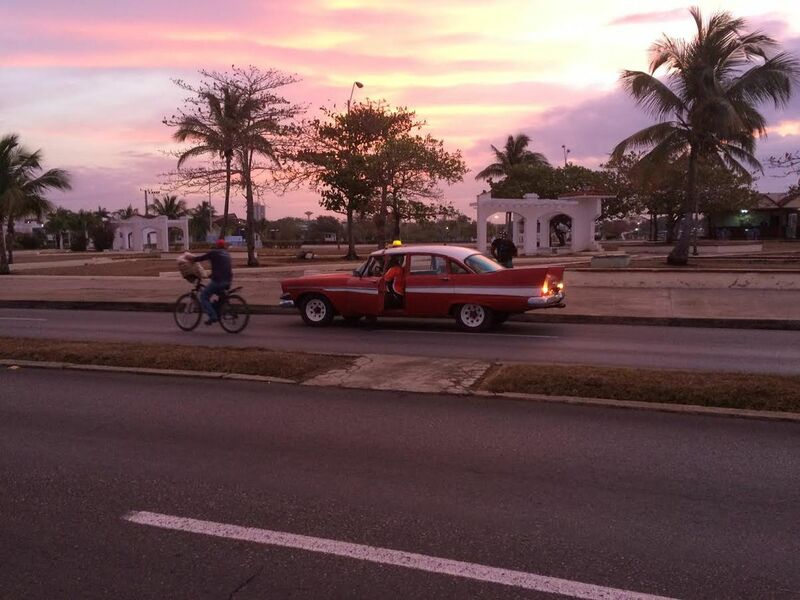 In mid-February, I joined 13 Canadian and American bicyclists – six of us Alaskans – to log about 40 miles a day over rolling rural roads where we passed as many horse-drawn buggies as 1950s-era Chevys, Studebakers and Plymouths, for which Cuba is famous. We began our adventure in Cuba's central agricultural heartland, passing through carefully cultivated farms of bananas, cattle, tobacco, mangoes and rice. The region is also home to a massive mausoleum for famed guerrilla leader Che Guevara. Killed in 1967 attempting to extend the revolution to Bolivia, Che's rugged image adorns billboards, T-shirts and keychains across the country. In the picturesque central square of Sancti Spiritus, which just celebrated its 500th anniversary, we encountered a local English interpreter who helps westerners interact with "Fidel-care," Cuba's highly regarded health care system. The country boasts scores of medical schools that train hundreds of doctors annually. They provide free health care across the island and are often "exported" to Cuba's allies in exchange for needed resources like oil from Venezuela. In a Catholic church, we met two 22-year-old medical students in their fourth of six years of medical training. They were checking local water tanks for mosquito larva to combat the incidence of illness such as Zika. Later we gingerly steered our bikes over the cobblestone streets of the former slave-trade capital of Trinidad on the south-central coast. Late into the night, we jammed into the town square to sip Havana Club rum mojitos and take in the best salsa music we'd ever heard. Further up the southern coast in the 19th century sugar cane city of Cienfuegos, we ran headfirst into the hordes of Western tourists pouring millions into the Cuban economy: Germans, French, Canadians and increasingly, Americans. Even with new policies negotiated by President Barack Obama two years ago, visiting Cuba remains bureaucratic for Americans. Travelers can join a sanctioned educational or cultural group, or go individually under one of 12 permitted categories of travel, such as "support for the Cuban people," professional research or sports exchanges. Several U.S. air carriers including Alaska Airlines have capitalized on the new enthusiasm for Cuba travel. Alaska began nonstop service from Los Angeles in January and already the company is bullish on the market, with positive visitor reactions and healthy demand, said spokesperson Joe Sprague. A parade of American business leaders have descended on the island to look for opportunities, as well as governors from agriculture states such as Louisiana and Mississippi. Cubans appear broadly welcoming of the new, well-heeled tourists. In a tiny village en route to a beach resort at Bay of Pigs, site of the disastrous attempted U.S. invasion in 1961, virtually every tiny concrete house offered a room for rent. Still, Cuba remains one of the poorest countries in the Caribbean, with average monthly salaries barely $20. Few Cubans can afford cars so they must rely on oxen, mules and horses to get them and their crops to market. The government tries to address the transportation challenge with a low-tech "yellow man" system. Officials dressed head to toe in bright yellow uniforms have authority to flag down government vehicles – from Russian sedans to dump trucks – to give rides to village residents. Sadly, Cuba's current revival could be short-lived. Candidate Donald Trump pledged to reverse the changes. The last Republican holdout on confirming Trump's secretary of state was Sen. Marco Rubio, R-Fla.. a rabid advocate for a renewed Cuban embargo. Conspiracy buffs believe Rubio extracted a promise on Cuba policy in exchange for his vote. In mid-February, Trump and Rubio dined together in Florida. Now, the Trump White House has quietly launched an internal review of Cuban policy. A transition is underway in Cuba too. President Raul Castro, 85, pledged to step down next year to make way for younger and perhaps more progressive leadership. Stalwart Cuban allies such as Venezuela and Brazil face their own internal chaos so Cuba increasingly has turned to China and the U.S.
After a half century, it should be obvious the U.S. embargo punished only the Cuban people, not a government the U.S. didn't like. Now, we should continue new policies. which encourage greater access to uncensored information, more interaction with the West and free enterprise, which is helping average Cubans scratch out a decent living. David Ramseur is a former journalist and political aide whose book, "Melting the Ice Curtain: The Extraordinary Story of Citizen Diplomacy on the Russia-Alaska Frontier," is due out from the University of Alaska Press in June.